The customer isn’t necessarily always right. Neither is a patient. 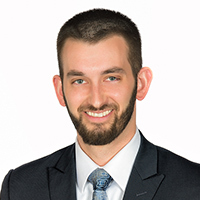 In Gardner v. CLC of Pascagoula, LLC, the Fifth Circuit Court analyzed an employer’s alleged failure to respond to a complaint of inappropriate actions of a patient in an assistant living facility. The allegations are unsettling. Plaintiff worked as a Nursing Assistant with the responsibility of caring for patients including one suffering from dementia, who had a long history of violent and sexual behavior toward fellow patients and staff. While being cared for by Plaintiff, the patient repeatedly grabbed her private areas and asked for explicit sexual acts. This was a daily occurrence. Allegedly, Plaintiff’s complaints to her employer were effectively ignored. Plaintiff complained to the facility’s managers but was ultimately told to deal with it “and go back to work”. In a subsequent altercation with the same patient, Plaintiff was so badly injured that she could not work for three months. Upon returning to work Plaintiff refused to care for the same patient. Plaintiff was then terminated for insubordination. Plaintiff sued the facility for claims of hostile work environment and retaliation. The law does not prohibit all harassment. The law prohibits conduct in the workplace that is so “severe or pervasive” that it alters an employee’s work environment. This includes conduct by non-employees, such as patients. In instances where the alleged conduct is from a non-supervisor, the employer must have known, or should have known of the hostile work environment, and not taken reasonable measures to stop it in order to be held liable. A court will consider the specific circumstances of a claim and determine whether a reasonable person would find the work environment hostile or abusive. In Gardner, the unique circumstance was that the source of the harassment was the resident of an assisted living facility who suffers from dementia. An employee who works with individuals with mental ailments may expect occasional inappropriate comments and incidental conduct. 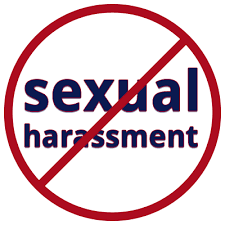 However, a line separates occasional conduct and persistent sexual harassment or violence with the risk of significant physical harm. Ultimately the Fifth Circuit reversed the district court’s grant of summary judgment for the employer and held that the hostile work environment claim could proceed to trial. Employers should take all employee complaints of harassment seriously and conduct objective and thorough investigations into the same. In the face of harassment, employers must take remedial action immediately. Doing so will create a safe work environment and culture that employees appreciate and reduce potential liability from employee claims.